A high-end condo in a SHoP Architects-designed building on the hip Lower East Side for just $224,000? 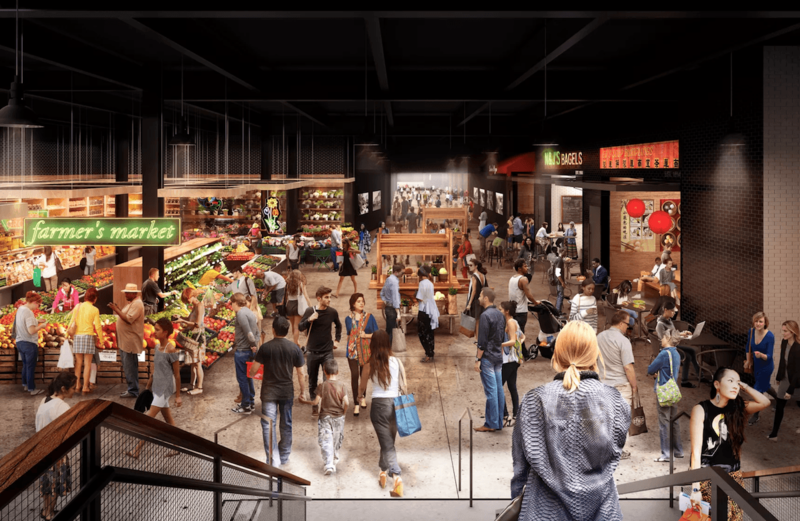 Yep, you read that right, and this middle-income lottery is now live for mega-development Essex Crossing‘s 242 Broome. 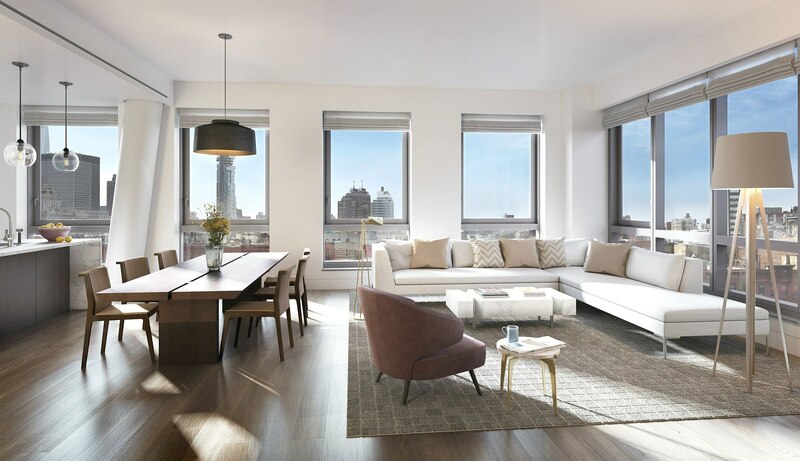 The only one of the development’s 10 towers to offer condos, 242 Broome will have a total of 55 residential units, 11 of which are available to households earning no more than 125 percent of the area median income and range from $224,861 one-bedrooms to $331,703 three-bedrooms (quite the deal considering market-rate units are going from $1.3 to $7 million). In addition to amenities like a roof deck, gym, and entertainment lounge, the 14-story building will also include a five-story base with retail and commercial tenants including The International Center of Photography Museum and Splitsville Luxury Lanes Bowling Alley. Interior renderings via Moso Studio. These are marketing images and do not reflect the specific units available through the lottery. 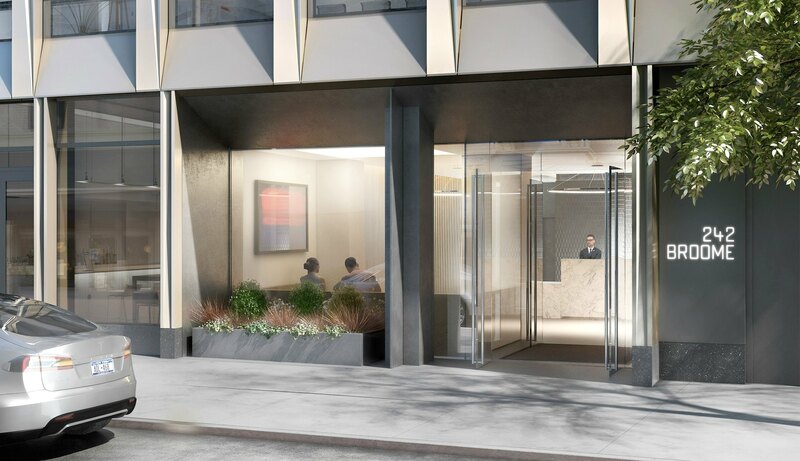 As 6sqft previously reported, market-rate sales launched at 242 Broome in September 2016. 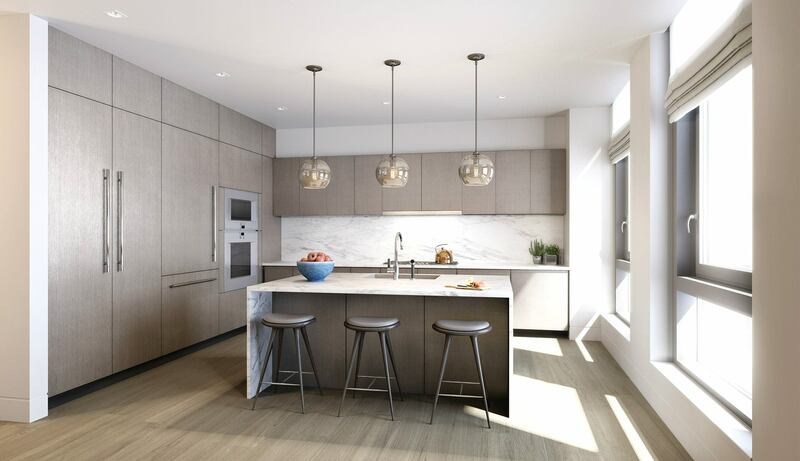 DXA Studio is responsible for the interiors, which they say “balance serenity with modernism.” Apartments will have Calacatta marble finishes, radiant heated floors, open-plan living spaces, and high ceilings. The full roster of amenities is a landscaped roof deck, fitness center, entertainment lounge with kitchen and game room, and bike storage. 242 Broome will also be one of three Essex Crossing sites that connects directly to SHoP’s Market Line, a 150,000 square-foot food/retail market that’ll serve as a new home for the historic Essex Street Market, as well as “a floating garden, beer hall, galleries and a tech incubators” according to reports last year. 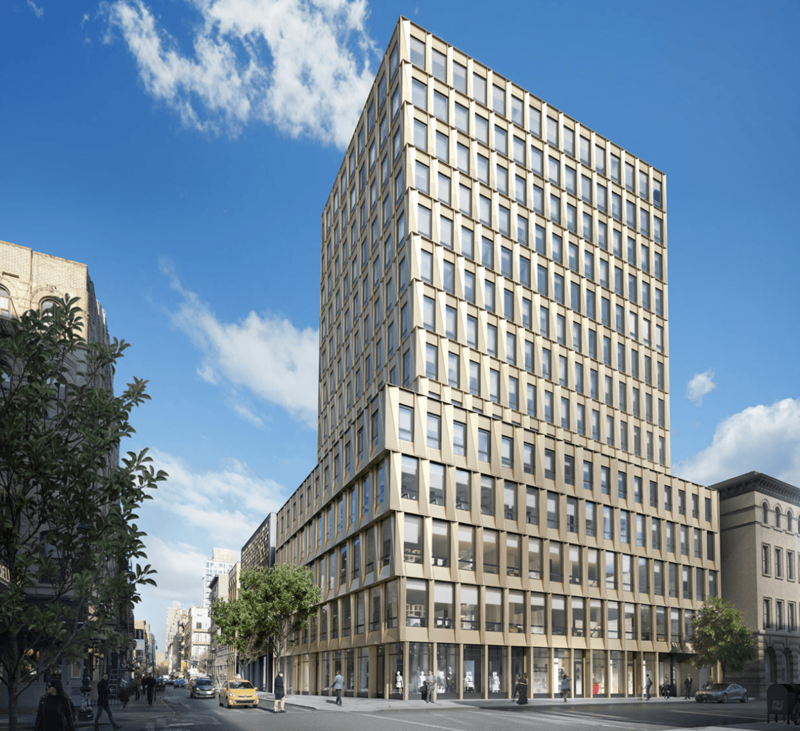 Residents of Community Board 3 will receive preference for 50 percent of the affordable units. Former site tenants of the Seward Park Extension Urban Renewal Area (SPEURA) will receive an additional priority within the Community Board 3 preference. Applications must be postmarked by January 31, 2018. Delancey Street Associates and the New York City Department of Housing Preservation and Development (HPD) will hold information sessions on affordable home ownership at Essex Crossing on Tuesday, December 12th and Tuesday, January 16th from 6:30 to 8:00pm at the Seward Park High School Auditorium (350 Grand Street). If you don’t qualify for the housing lotteries mentioned, visit CityRealty.com’s no-fee rentals page for other apartment deals in the city. 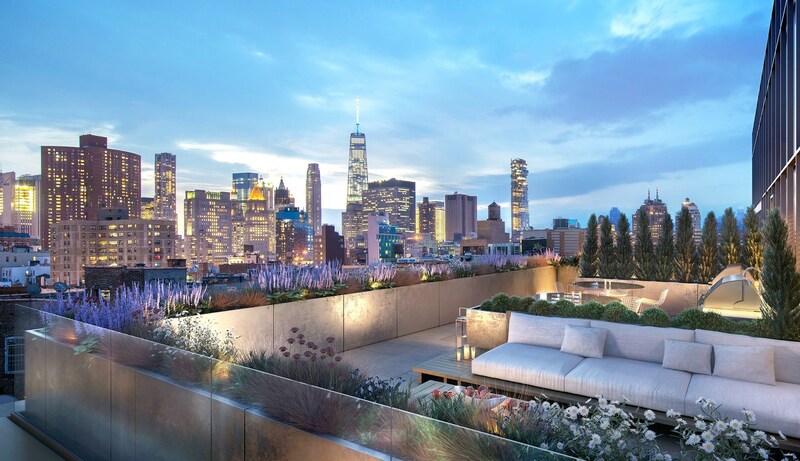 And find market-rate listings for 242 Broome here.